stillborn baby clothes for baby's funeral. 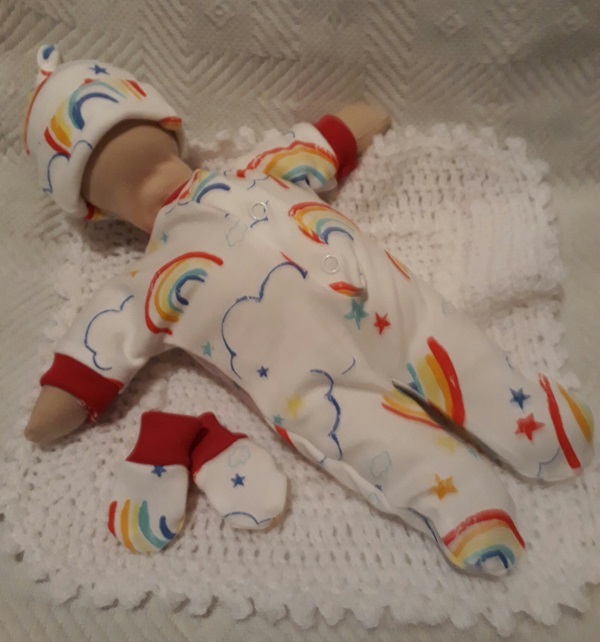 3 piece outfit hand made in uk by Something precious TM 100% gentle cotton fabric burial clothes with a cosy knot hat and soft mittens for warm hands. The sad loss of an infant is devastating enough to parents, so worrying about finding something suitable to lay baby to rest in is so important to the family. click the green button just below to order this style with childlike rainbow drawings print.